Thomas Fitzpatrick was born in County Cavan, Ireland, in 1799. Little is know of his early life except he was relatively well educated. In his mid-teens he left home and went to sea. Nothing is known about his seafaring days. The first real account of Thomas Fitzpatrick is in St. Louis in 1823. The Ashley-Henry Fur Company was seeking recruits to join the trappers that had gone up river the previous year. Three men of note signed up for the 1823 expedition: Thomas Fitzpatrick, William Sublette…Fitzpatrick and Sublette are often credited with being among the 1822 trappers. In 1823, Andrew Henry Jedediah Smith downriver to inform Ashley more horses were required at Fort Henry. 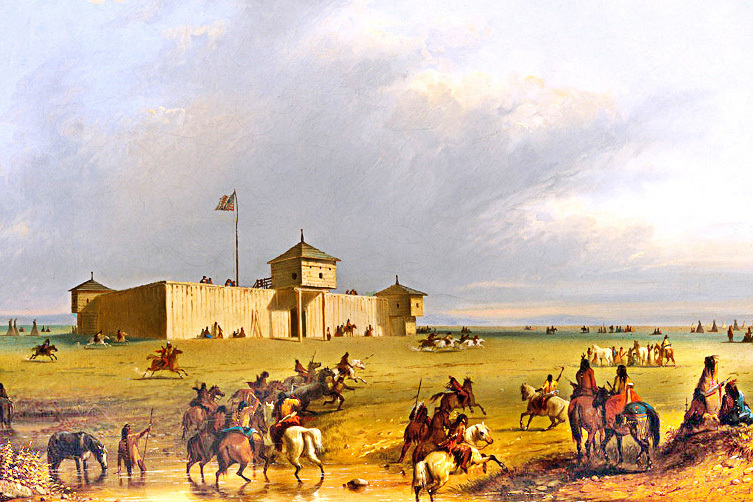 Built the year before, Fort Henry was located near the junction of the Missouri and Yellowstone rivers. Assiniboine Indians had stolen horses from Fort Henry, and from a group of trappers under Jedediah Smith near the mouth of the Musselshell and Missouri rivers. On his way down the Missouri River, Jedediah Smith met the keelboats, Yellowstone Packet and Rocky Mountains below the Arikara villages. When Smith gave Ashley the message, Ashley stopped at an Arikara Village to trade for horses. 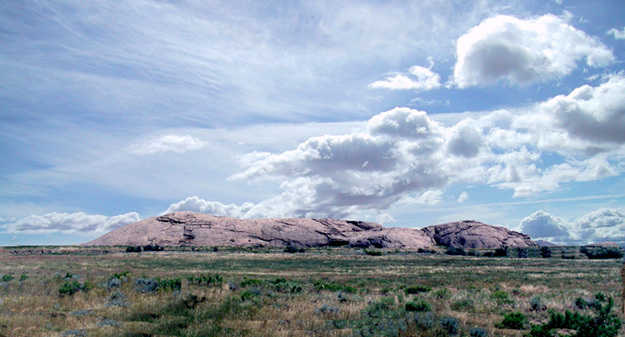 After three days of talks, the Arikara agreed to trade horses for guns and ammunition. That night, Edward Rose and a young trapper, Aaron Stephens, went into the Arikara Village. Stephens was killed and dismembered. Rose informed Ashley what had happened but little could be done until morning. At daylight, Arikara warrior opened fire on the traders camped on the beach. After a brief fight, the surviving trappers dashed for the river; twelve trappers lay dead on the sandbar. A few of the men were picked up by men in one of Ashley’s boats, others swam to the opposite shore. In addition to the ones killed on the beach, eleven were wounded, two of them later died. 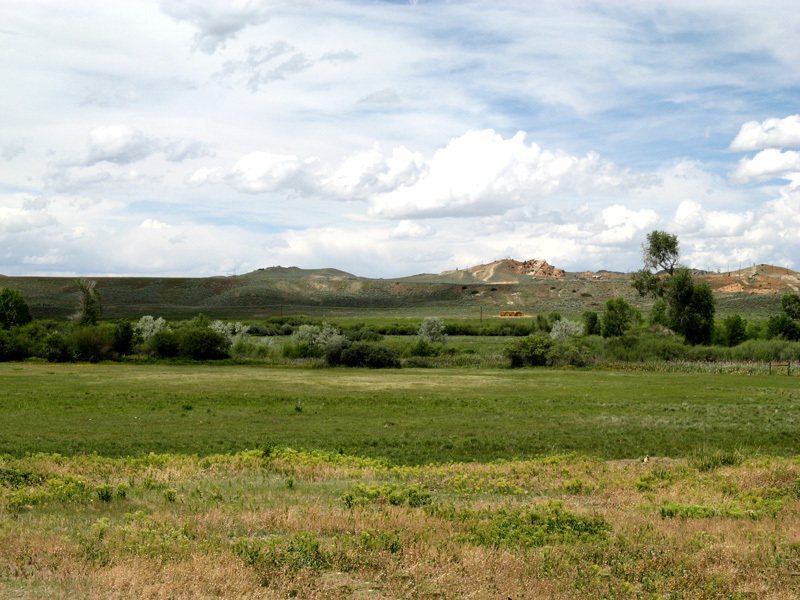 The Ashley-Henry Company lost fifteen men before withdrawing downriver to a small island near the mouth of the Cheyenne River. All of the boatmen and most of the fur trappers refused to go back upriver. The men refusing to continue on were sent in one of the boats back to St. Louis with the promise they would inform Colonel Leavenworth at Fort Atkinson of the Arikara attack. Fort Atkinson was located at the Lewis and Clark Council Bluff site which was several miles above present-day Council Bluffs. While waiting for Col. Leavenworth, Ashley sent Jedediah Smith and a French-Canadian trapper cross-country to inform Andrew Henry of the disaster. The morning after Smith reached Henry with news of the attack, Major Henry with fifty men started downriver in a keelboat to assist Ashley. There is no mention of Thomas Fitzpatrick during the fight, but in all probability he was with the shore party. At any rate he undoubtedly distinguished himself. When Ashley organized his men into two military units, Jedediah Smith and Hiram Scott were appointed captains, Thomas Fitzpatrick was appointed quartermaster, and William Sublette sergeant at arms. Colonel Henry Leavenworth responded with six companies of soldiers. In addition to the military, there was Joshua Pilcher and some of his Missouri Fur Company men, and six hundred Sioux warriors. After several days of military indecisiveness, the Sioux warriors left in disgust. While the fur traders stood helplessly by, Colonel Leavenworth negotiated a peace treaty with the Arikara. You came to restore peace and tranquility to the country, & leave an impression which would insure its continuance, your operations have been such as to produce the contrary effect, and to impress the different Indian tribes with the greatest possible contempt for the American character. You came to use your own language to “open and make good this great road”: instead of which you have by the imbecility of your conduct and operations, created and left impassable barriers. Not having enough men to continue upriver, William Ashley went downstream to Fort Kiowa (Chamberlain, S. D.). From there he dispatched Jedediah Smith, Thomas Fitzpatrick, William Sublette, James Clyman, Thomas Eddie, Edward Rose, Stone, Branch, and two other men whose names have been lost to history overland to the Rocky Mountains. Fitzpatrick is generally regarded as being second in command. The Smith-Fitzpatrick party wintered with Crow Indians in the upper Wind River Valley. In February, the fur trappers attempted to cross the mountains between the Wind River and Green River valleys, but deep snow over Union Pass forced them back. Returning to the Crow camp, warriors told Smith about a broad open pass on the south end of the Wind River Mountains. 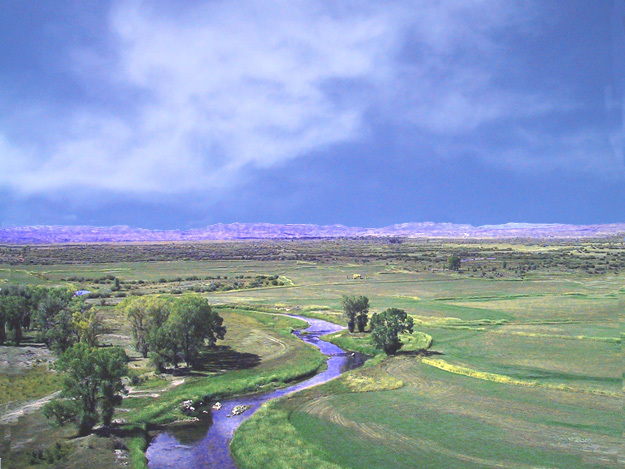 In March of 1824, Jedediah Smith’s party followed the Sweetwater River on the south end of the Wind River Mountains over South Pass to reach the valley of the Seeds-kee-dee…the Wyoming Green River. 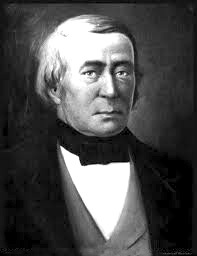 Robert Stuart’s discovery of South Pass in 1812 had been largely forgotten, and the Jedediah Smith-Thomas Fitzpatrick party is credited with the effective discovery of South Pass. The re-discovery of South Pass was soon widely heralded as an easy wagon route to the mouth of the Columbia River. Reaching the Green River Valley, Jedediah Smith split the trappers in to two parties with a plan to rendezvous back on the Sweetwater River in mid-summer. Fitzpatrick’s men trapped north up the valley of the Seed-kee-dee River (Prairie Hen River, Green River). On Horse Creek, Indians stole Fitzpatrick’s horses; the name supposedly comes from this event. Able to recover the stolen horses, Thomas Fitzpatrick and his men had a good hunt, and by June were back on the Sweetwater River. When Jedediah Smith arrived at the Sweetwater Rendezvous, it was decided Fitzpatrick, Stone, and Branch would take the furs to Fort Atkinson. 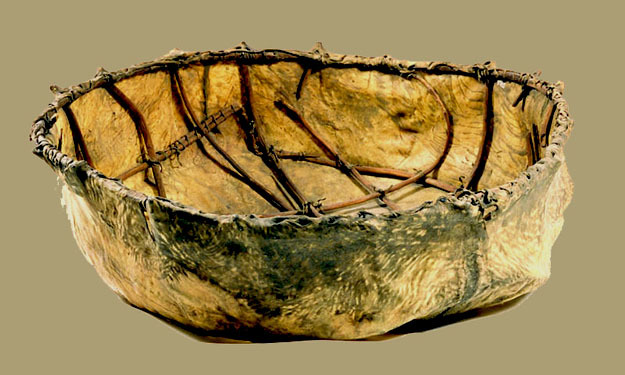 In a bullboat, the trappers floated down the Sweetwater River to the area between Devils Gate and Independence Rock. …”in a more pitible state if possible, than myself”. At Fort Atkinson, Fitzpatrick sent a dispatch to Ashley in St. Louis advising him of the rich beaver country west of the Wind River Mountains. While waiting for Ashley to arrive, Fitzpatrick, Branch, and Stone returned for the furs cached near Independence Rock. On hearing the mountain valleys were rich with beaver, William Ashley outfitted a supply train, and in November 1824, struck out overland from Ft. Atkinson. Ashley followed the Platte River and then the South Platte River to the Front Range in Colorado…Pawnee Indians told Ashley there was better feed for his pack animals along the South Platte. 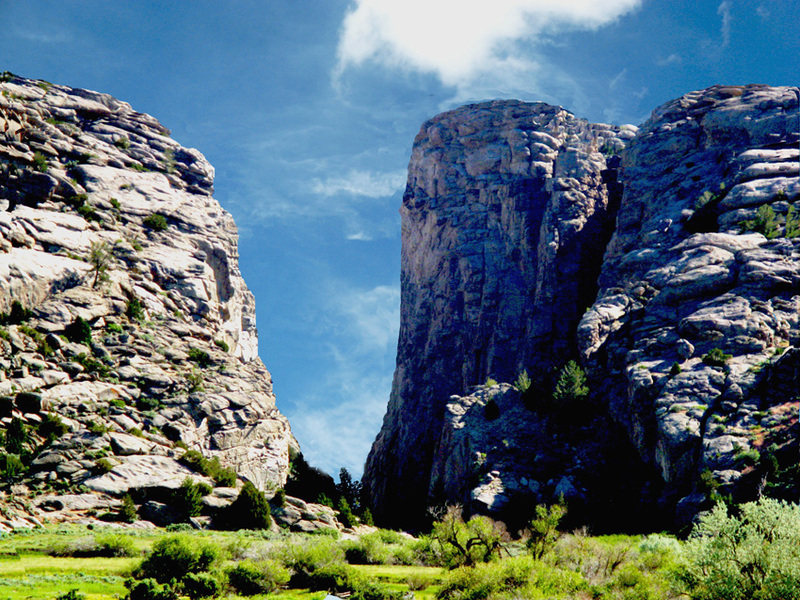 Reaching the Colorado Front Range, Ashley turned northwest and crossed the mountains onto the Laramie Plains and from there to the Green River Valley. The trade goods were cached, and it was agreed the parties would meet around July 1st on Henry’s Fork of the Green River for a general rendezvous. 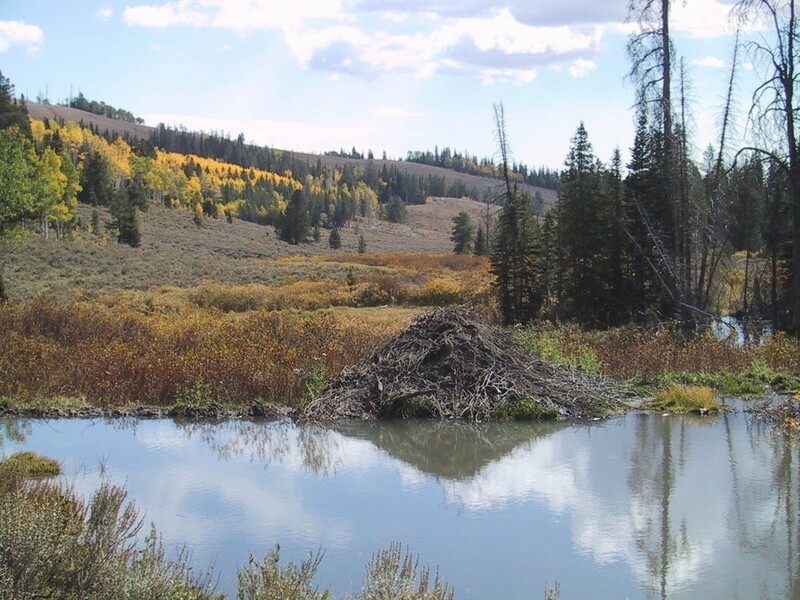 Ashley then split the supply party into four groups: Ashley floated down the Green River: Fitzpatrick trapped the Uinta Mountains; James Clyman trapped the Green River Valley; Zachariah Ham trapped the area around Blacksmith Fork. After the 1825 rendezvous there is little information on Fitzpatrick for the next couple of years. Following the 1828 rendezvous on Sweet Lake (Bear Lake), Fitzpatrick served as clerk for David Jackson’s trapping brigade to the Flathead country. In the spring, they met Jedediah Smith on Clarks Fork not far from Flathead Post. Smith had spent the 1827-28 winter at Fort Vancouver following the Umpqua Massacre. Fitzpatrick was sent ahead to find William Sublette and the supply train for the 1829 rendezvous. Fitzpatrick found Sublette at the Popo Agie rendezvous (Lander, Wyoming). With the pack train, Fitzpatrick and Sublette proceeded from the Popo Agie to Pierre’s Hole (Driggs, Idaho) where they met Jackson and Smith. 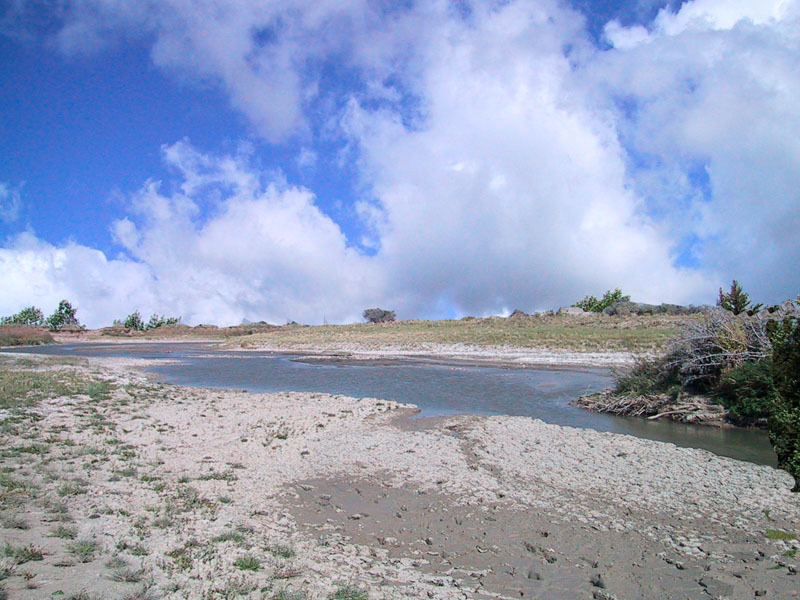 The 1829 rendezvous was held in two locations. With beaver getting harder to find and prices dropping, Smith, Jackson, and Sublette decided it was time to leave the mountains. 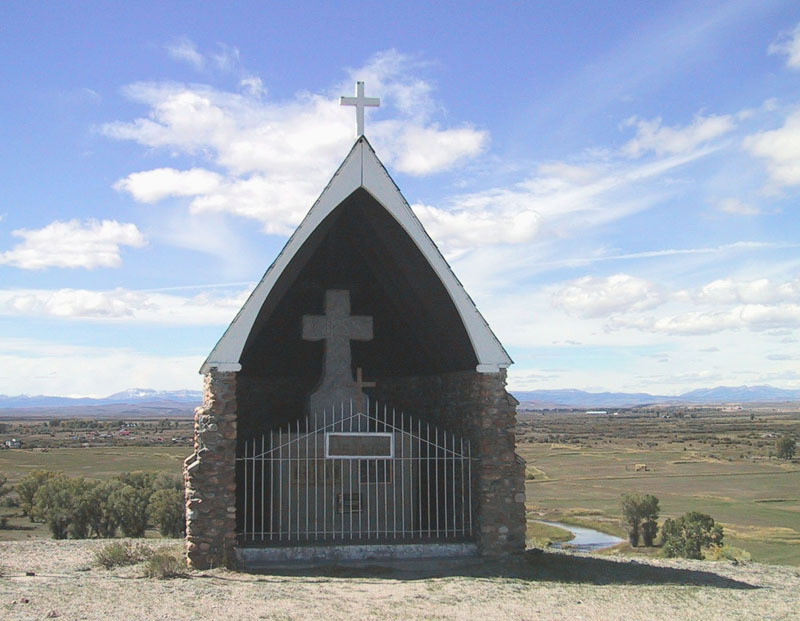 At the 1830 Rendezvous on the Wind River, the three partners sold out to Thomas Fitzpatrick, Milton Sublette, Jim Bridger, Henry Fraeb, and Jean Gervais. The partners agreed Sublette would be the rendezvous supplier. The new company was named the Rocky Mountain Fur Company. This is the only time in the history of the Rocky Mountain fur trade a company was called the Rocky Mountain Fur Company. 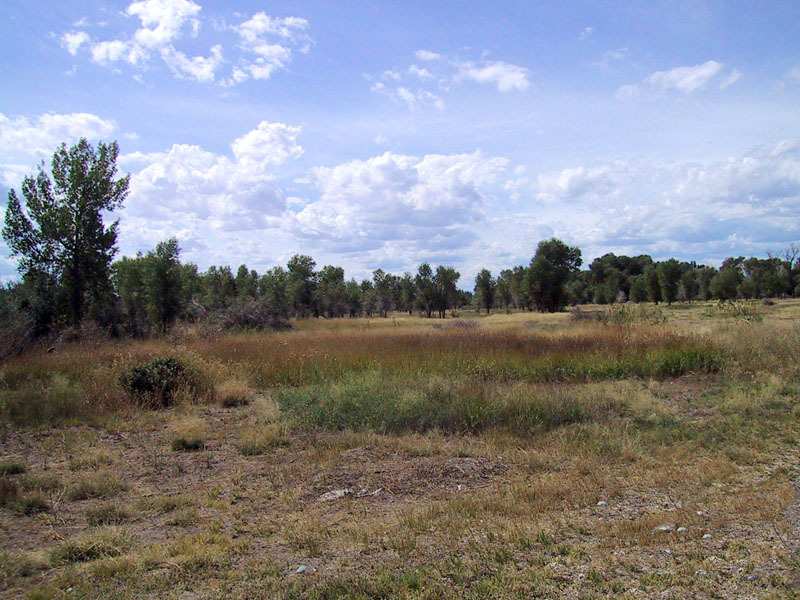 In the spring of 1831, Fitzpatrick went to St. Louis to make arrangements for supplies for the 1831 rendezvous, but Smith Jackson and Sublette were ready to leave for Santa Fe. It was agreed Fitzpatrick would accompany them and be supplied when they reached Santa Fe. 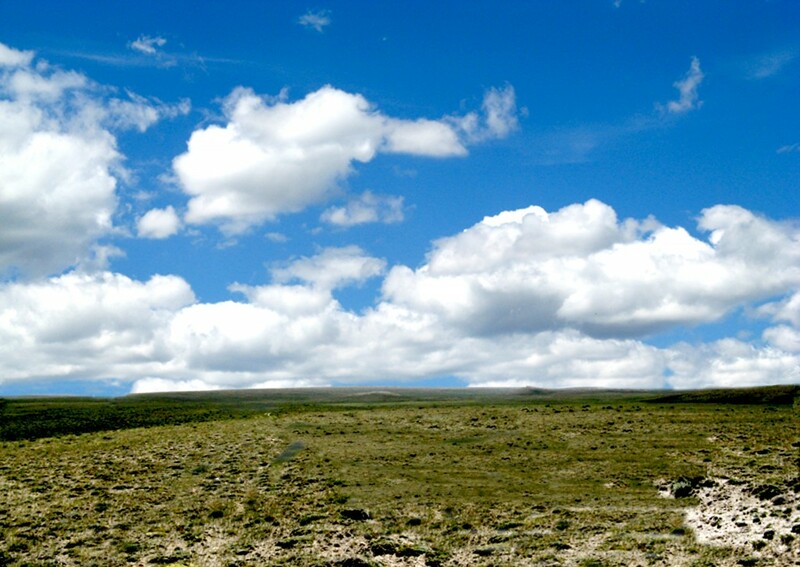 When the 1831 pack train did not reach the 1831 rendezvous site, Henry Fraeb went looking for Fitzpatrick. Fraeb found Fitzpatrick with the trade goods on the North Platte. Fraeb took charge of the pack train, while Fitzpatrick went to St. Louis to make sure the 1832 supply train arrived on time. Henry Fraeb found the majority of the company trappers on the Salmon River. The trade goods were distributed to the various trapping parties. There was no general mountain man rendezvous in 1831. Thomas Fitzpatrick accompanied Sublette’s pack train to the 1832 rendezvous in Pierre’s Hole. On the North Platte, Fitzpatrick left the pack train to inform trappers that the Pierre’s Hole trade goods were on the way. 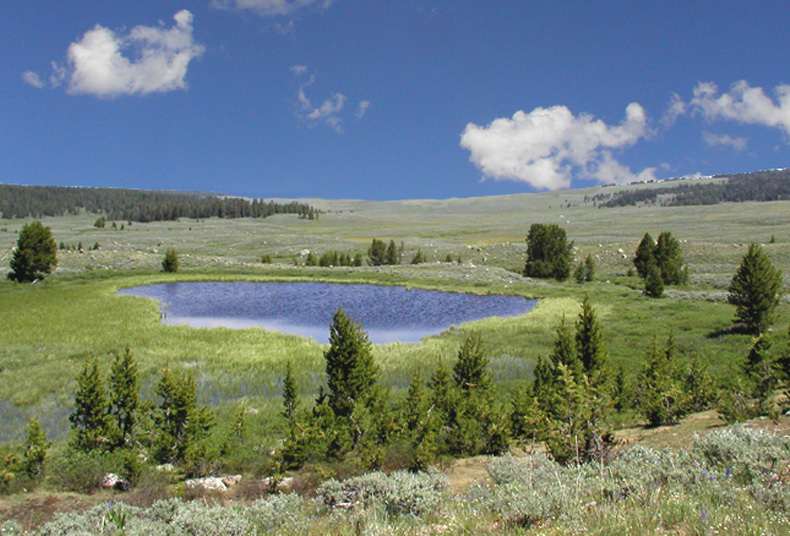 Across South Pass, he met a party of Gros Ventre. With two fast horses, Fitzpatrick eluded his pursuers. With the Gros Ventre warriors hunting him, Fitzpatrick hid out in a shallow cave in a boulder field. After the Indian stole his horses, the warriors gave up. With nothing to eat except a few berries, Fitzpatrick started for the Pierre’s Hole Rendezvous. When the pack train reached Pierre’s Hole, Fitzpatrick was not there. Two trappers set out to look for him. When the trappers found him, Fitzpatrick was so weak he could barely move. The ordeal Fitzpatrick endured turned his hair white; he was often referred to as “White Hair” by the Indians. 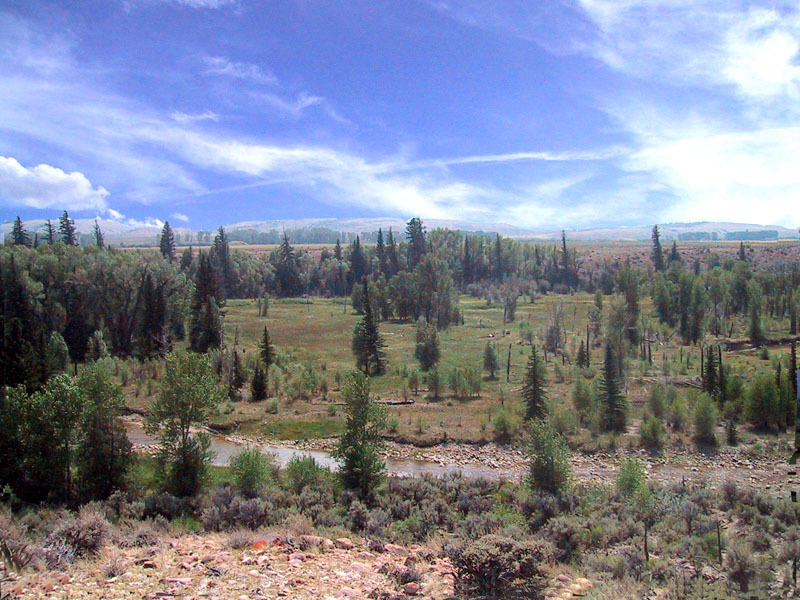 Ironically, after the Battle of Pierre’s Hole, the two horses Fitzpatrick had lost to the Gros Ventre were recovered. At the 1833 rendezvous, Robert Campbell, Sublette’s partner, brought out the yearly trade goods along with forty to fifty men, including Sir William Drummond Stewart, Charles Larpenteur, Edmund Christy, and Ben Harrison; the son of William H. Harrison, soon to be President of the United States. Ben Harrison had been sent west by his father to cure his drinking problem. A wealthy Scotsman, William Stewart made several trips to the Rocky Mountains. A new company called the Rocky Mountain Fur Company and Christy was formed at the 1833 rendezvous. The new company, organized on July 20th, was to operate for one year. The new partner invested six thousand six hundred and seven dollars in the Rocky Mountain Fur Company. After the rendezvous broke up, Thomas Fitzpatrick and Milton Sublette entered into an agreement with Nathaniel Wyeth to bring the supplies for the 1834 rendezvous. In the spring when William Sublette learned of this agreement, he assembled a pack train and started for the Ham’s Fork Rendezvous. At Laramie Creek near where it empties into the North Platte River, Sublette left several men to construct Fort William (Fort Laramie). At the rendezvous, Sublette forced Fitzpatrick to buy his supplies from him; he still held notes on the Rocky Mountain Fur Company. A disgruntled Wyeth took his trade goods to the Portneuf River. Near its junction with Snake River, Wyeth built Fort Hall. Wyeth sold Fort Hall to the Hudson’s Bay Company in 1835. 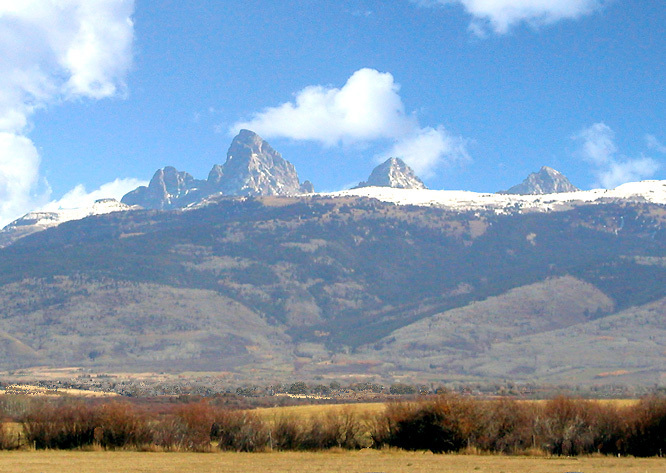 At the end of the 1834 Ham’s Fork rendezvous, the Rocky Mountain Fur Company was dissolved. A new fur trading company Fontenelle and Fitzpatrick emerged. A year later, William Sublette sold Fort William to Fontenelle and Fitzpatrick and agreed to leave the mountains. Pratte, Chouteau and Company were now the chief supplier for what was left of the Rocky Mountain fur trade. Fitzpatrick obtained his nickname, “Broken Hand”, from a gun accident while at Fort William in 1836. A musket exploded in his left hand taking off two fingers. After his accident, the Plains Indians referred to him as “Broken Hand” Chief of all Mountain Men. In 1836 and Fitzpatrick and Fontenelle led the B. Pratte and Company supply train to the Green River rendezvous. Traveling with the pack train to the annual trappers’ rendezvous were two missionaries, Dr. Marcus Whitman and Henry Spaulding. Traveling with them were their wives…the first white women to attend a rendezvous and to cross South Pass on the Oregon Trail…Narcissus Whitman and Eliza Spaulding. 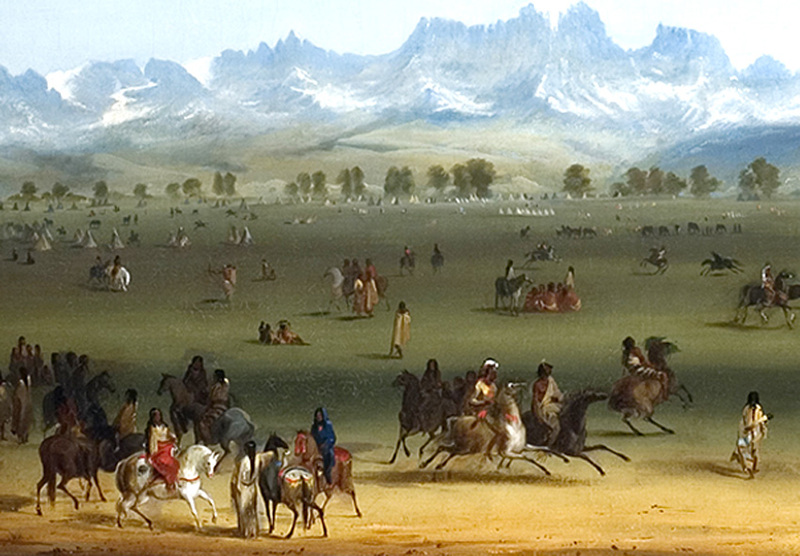 Fitzpatrick escorted Sir William Drummond Steward and artist Alfred Jacob Miller to the 1837 rendezvous in the Green River Valley. This was the last Mountain Man rendezvous with any mention of Thomas Fitzpatrick in attendance. If Fitzpatrick did not attend the last three rendezvous, it is certainly understandable. He had been an active participant during the hay days of the Rocky Mountain rendezvous and probably decided it was time to leave. …Come we are done with this life in the mountains – done with wading in beaver-dams, and freezing or starving alternately – done with Indian trading and Indian fighting. The fur trade is dead in the Rocky Mountains, and it is no place for us now, if it ever was. We are young yet, and have life before us. We can not waste it here; we cannot or will not return to the states. Let us go down to the Welamet [Willamette Valley] and take farms. The end of the fur trade signaled a new profession for Thomas Fitzpatrick…Oregon Trail guide. The year after (1841) the demise of the fur trade rendezvous, Father Pierre De Smet hired Thomas Fitzpatrick in St. Louis to guide a missionary party with five two wheeled carts to the Oregon country. At this same time, the first emigrant train was being formed in Independence, Missouri. When John Bartleson learned Thomas Fitzpatrick was the guide for Father De Smet, the Bidwell-Bartleson train with eighteen wagons waited for the Father De Smet Party to reach Independence, so they could join his wagon train. Beyond Soda Springs (Idaho), about half the wagons of the Bidwell-Bartleson party split off to cross the Nevada Desert to California; the rest of the wagons continued on to Oregon. The Bidwell-Bartleson wagons that split off were the first immigrant wagon train over the California-Oregon Trail. The next summer near Fort Laramie, Thomas Fitzpatrick met the Dr. Elijah White emigrant train consisting of one hundred and ten people with eighteen wagons and a large herd of cattle. Dr. White hired Fitzpatrick to guide them as far as Fort Hall, which was considered to be beyond the danger from Indians. Dr. White was the new Indian sub-agent for the Oregon country. Recognized as an outstanding guide Tom Fitzpatrick was employed by John C. Fremont as guide for his second expedition (1843) to California. In 1845, Tom Fitzpatrick guided Col. Stephen W. Kearny’s expedition on a tour of the Rocky Mountains. Reaching Fort Bent, Col Kearny reassigned Fitzpatrick to guide Lieutenant J. W Abert with thirty-two men and four wagon into the ever-dangerous Comanche country. The following year, Fitzpatrick guided Kearny’s army on its way to California to Socorro, New Mexico. In Socorro, Col. Kearny met Kit Carson carrying dispatches to Washington, D.C. Kearny gave the messages to Fitzpatrick and sent him east. Carson remained with Kearny to guide the army to California. This appointment will give general satisfaction; for among both the whites and Indians on the frontier and plains, Mr. Fitzpatrick is deservedly held in high respect – the later indeed reverence his person, and , from this fact, he has more power to control and restrain than even the presence of armed force. The resultant treaty established tribal boundaries, specified peaceful relations among tribes, authorized the laying out of roads and construction of military posts in Indian territory, and provided for punishment and restitution of any depredations committed – by either Indian or white. After the Laramie Treaty, Fitzpatrick expressed dismay at the shabby way the government treated the Indians and how it broke its promises. While in Washington, D.C. in 1854, Thomas Fitzpatrick came down with pneumonia and died on February 7, 1854. He was buried in the Congressional Cemetery. While serving as agent, Fitzpatrick had married Margaret Poisal. His wife and two small children, Andrew and Virginia, survived him. Margaret Poisal was the niece of Niwot an Arapaho Chief. The Thomas Fitzpatrick article was written by O. Ned Eddins of Afton, Wyoming.Permission is given for material from this site to be used for school research papers. Clyman, James. Journal of a Mountain Man. Mountain Press Publishing Company. Missoula Montana. 1984. DeVoto, Bernard, The Year of Decision: 1846, Boston: Little, Brown, 1943. Ferris, W. A. Life in the Rocky Mountains. Paul C. Phillips ed. Old West Publishing Company. Denver, Colorado. 1940. Hafen, LeRoy R. and Ghent, W. J., Broken Hand. The Life Story of Thomas Fitzpatrick, Chief of the Mountain Men. Denver: Old West Publishing Co., 1931. Reprinted by University of Nebraska Press, 1973. —–Jedediah Smith and Opening of the West. Bison Books, University of Nebraska Press, Lincoln Nebraska 1969. —–The West of William Ashley. Edited by Dale L. Morgan, The Old West Publishing Company. Denver, Colorado, 1964. 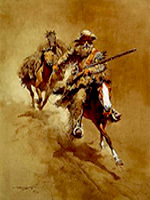 Pedersen, Lyman C., Warren Angus Ferris, in Trappers of the Far West, Leroy R. Hafen, editor. 1972, University of Nebraska Press 1983.